But you've got to keep your hopes up. All is not lost and if spring still doesn't want to make an appearance, well than we will just have to MAKE it happen! This year it's about making compromises with your spring wardrobe. 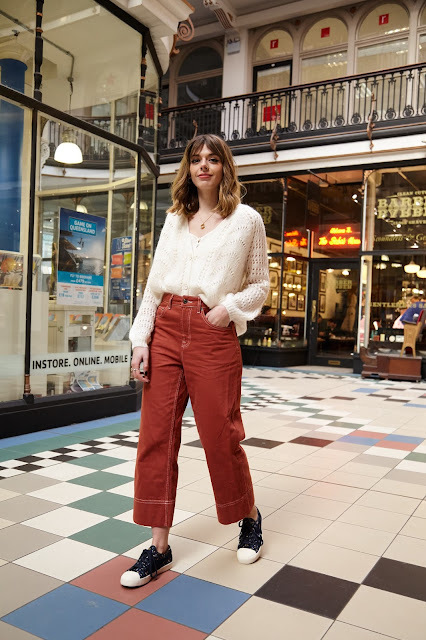 Yes we're all pretty much still wearing our winter pieces but there are ever so slight tweaks you can orchestrate that will at least make your style feel just that teeny weeny bit more summer ready. This is where Gola X Liberty's new collection swoops down to save the day! Yippee! This season Gola have launched their latest Liberty Art Fabric collection with colour combinations which are a little more feasible for all weather types. They've chosen patterns in dark grounds such as greys and navy blues (see my feet for further details) which give the allusion of spring in a much more subtle way. I for one couldn't be more thankful. I'm loving all of these dark based floral patterns we're seeing at the moment and Gola's new Liberty collection is no exception to the rules. Dark based designs are one of the most practical patterns to opt for if you want to keep your wardrobe open to all seasons and they suit the autumn months just as much as they do spring/summer. 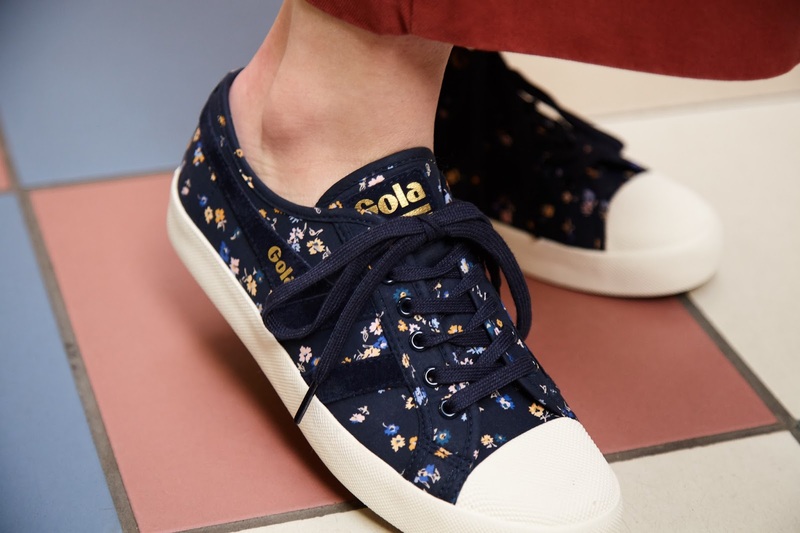 I think we can all admit we're maybe not quite ready to dust down our favourite floral summer dresses just yet, so a Gola Coaster Trainer in a navy floral is actually a very happy medium! I've styled my coasters with a cream, pointelle style cardigan as this is another one of those fabric compositions which- like dark ground floral- tricks you into thinking you're a touch more spring than you actually are. Just so we're all clear, pointelle is a technique used in knitting which effectively gives the wool a lacy appearance and I don't know about you but lace/crochet fabrics makes me think of summer. Try to go for pastel or cream tones in your pointelle like mine and you'll stay super snuggly whilst looking like you're ready to fully embrace the sunshine. Sneaky I know! 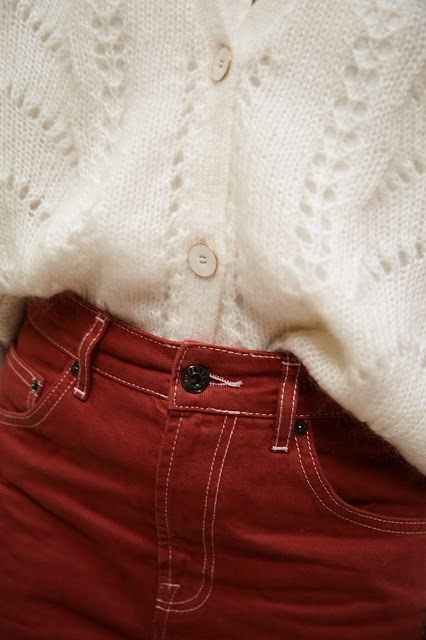 To bring the floral in my shoes and my cream cardigan together, I've gone for a colour pop in my wide leg jeans. The floral tones used in my pretty little shoes are great trans-colours such as oranges, dusky pinks and blues. I decided to bring out that zesty orange hue a little more by coordinating my trousers! 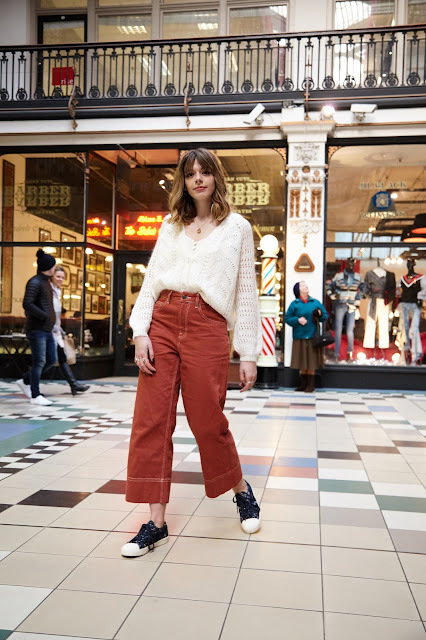 Broken down my look is pretty "Autumn appropriate" but styled together there's definitely more of Spring vibe going on. 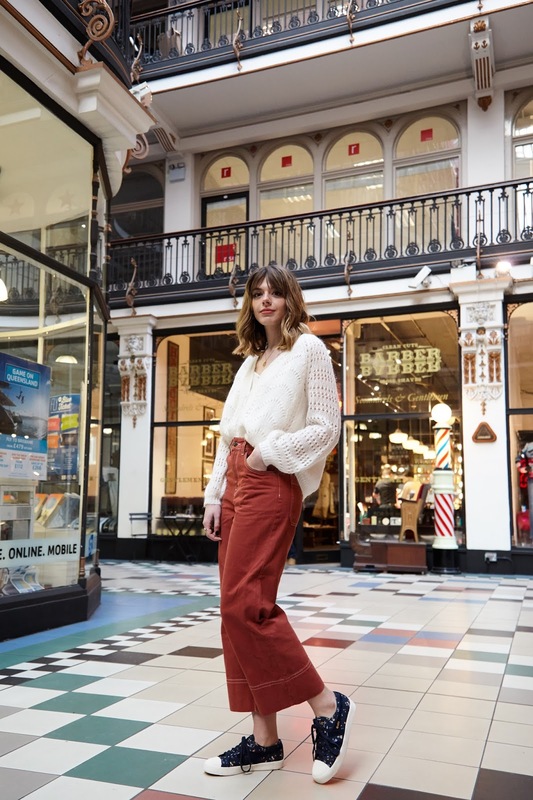 It's all about just finely tuning your outfit so you're still keeping warm like you're in winter whilst looking like you're raring to go for summer! The great thing about my new Gola X Liberty Coasters is that give it another two months and I will happily be styling them with cut off shorts in the height of summer... And than back around again to Autumn with a big, old chunky jumper. Our weather might not be on our side right now but at least your floral's can be. Shop the Gola X Liberty Art Fabric HERE now.